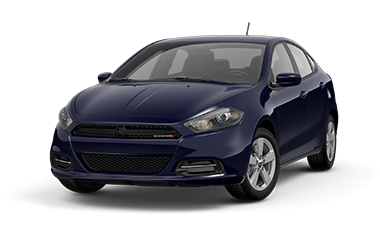 After walking away empty handed from “Fartax,” after they sold the car we thought we were going to buy to someone else, we were forced to wait, in the hopes that their promises were true and another red Dodge Dart was on its way from Denver, Colorado. On Monday Youngest Daughter got a call. The car had arrived. It just had to be looked over before it could be released for sale, which should only take a day or two, the salesman said. It took two days, but I will give them a pass. Just as the car arrived the unthinkable happened. A salesman hopped in a Corvette to allow someone a test drive and the driver sped off, lost control of the car, ran into the tree, and killed the salesman. This happened at the dealership we were dealing with. That may have slowed things down for a day or so. Understandable. We got the call on Wednesday that the car was ready. However, we couldn’t get there until Friday afternoon. We arrived and walked to the red Dart, full of anticipation. On the way there we noticed they had a Dart in Navy blue, How nice. Didn’t know they were made in Navy blue, we said. Then we saw the car we had come for. As I like to say, it looked like it was rode hard and put away wet. It only had 11,000 miles on it but they were 11,000 difficult miles. Let me count the damage. A stained front seat. A melted spot on one of the inside back door handles. Glass in the trunk from a broken window (presumable the back window of that car, although it had been replaced). Last but definitely not least, major scratches and gouges in the paint on back bumper that could only be fixed by repainting. Youngest and I were underwhelmed. Youngest was definitely disappointed and I was getting bad vibes from all over that poor car. Not sure what to do, we decided to take the car for a test drive anyway. The salesman drove us and the car to the office and left us for a few moments while he went in to run her license. While he was gone I mentioned the navy blue Dodge Dart we had seen. While not as thrilled with the navy blue as she was with the red, Youngest agreed that we should take a look at it. When the salesman returned, we told him we wanted to see that one before we test drove the car from Colorado. We drove to the office and I remembered we hadn’t looked in the trunk. Remembering the glass in the trunk of that other Dart, I said to the salesman, “For kicks and giggles, could you pop the trunk?” Youngest and I held our breath as the lid popped open. I turned to her and said, “We better make sure there aren’t any bodies or pools of blood.” She giggled nervously. I lifted the lid and saw…nothing! just a clean car trunk!!! Praise the Lord! We bought the car. I had to drive our car home so Youngest drove her new car home by herself. As she pulled out of the parking lot there was just enough light to see her face. I thought she might look a little grim, driving a strange car and all for the first time, one she paid for herself. I was totally wrong. I will never forget the beaming look of joy and happiness on her face! She drove out of that “Fartax” with a smile on her face a mile wide. She had a new car! Meanwhile, I was pretty darn proud of myself. What started as a few visits to dealerships by Youngest and I before we brought Hubby into the picture, ended up being just me guiding Youngest through her first car purchase when Hubby became overwhelmed with work. I guided her through the whole process, dispensing car buying advice along the way. I figured out if cars were a good price. I checked safety ratings. I dealt with salesmen. I read car reviews. I helped her try to get car loans. I dealt with a pretty torturous process after the car we wanted was sold out from under us. Yep. I did it. I am woman. Here me roar after showing my daughter women can by cars, all by themselves. BTW, Hubby said he was proud of me, as well. Congratulations to you both. I hope for many happy safe miles! Well I am glad she managed to get a car that she likes, and I wouldn’t have bought the red one, although I can tell you I am not over joyed that our new car is white, I don’t like white but Tim does and so we got a white one. I just can’t help wondering what happened to that customer that drove the car into a tree and killed the poor salesman? He was arrested for driving under the influence. He was OK after the accident, ironically.